Paul Rockwood of King Salmon, Alaska and Zachary Adam Chesser of Fairfax, Virginia, could not have been more different—they lived on opposite sides of the United States and were of different generations, but they shared a common thread—they had both been radicalized by Anwar al-Awlaki. And now they are in the custody of federal authorities for ties to international terrorism. Rockwood pled guilty in federal court Wednesday to making false statements involving terrorism—a crime which critics usually decry as a last resort when there is no evidence of actual criminal conduct. But reviewing the plea agreement, Rockwood showed that he was anything but an innocent stooge set up by the government. After converting to Islam in late 2001, Rockwood explained that he became a strict adherent to the violent jihad-promoting ideology of Awlaki, including a personal conviction that it was Rockwood's religious responsibility to exact revenge by death on anyone who desecrated Islam. In an attempt to carry out that mission, Rockwood began researching and selecting possible "targets for execution," and methods of carrying out any such attacks. By early 2010, Rockwood had researched the construction of improvised explosive devices, mail bombs, and other weapons. He had also formalized a "hit list" of approximately 15 specific, but undisclosed targets. Once authorities obtained the list from his wife Nadia, they questioned Rockwood. He denied creating the list, denied the purpose of the list, and denied ever having such a list of names. Since that interview, Rockwood admitted to his lies, his wife admitted transmitting the list, and they are both pending sentencing in Alaska. Meanwhile, across the country in Virginia, authorities announced the capture of another willing Awlaki recruit. Chesser is perhaps best known as the man who threatened the creators of South Park after they featured the Prophet Mohammad in a cartoon episode. But, while the most recent example of his growing radicalization, this was not the first time he had come to the attention of American law enforcement officials. According to an affidavit filed in federal court in Virginia, Chesser's road to radicalization began shortly after his conversion to Islam in July 2008. In one of his first encounters with law enforcement, Chesser discussed how he radicalized: "by watching online videos, discussions and debates, and over-the-counter CDs, almost obsessively." One speaker that Chesser allegedly preferred was Anwar al-Awlaki, who Chesser said "inspires people to pursue jihad." 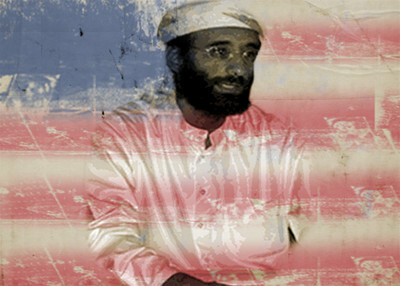 Chesser revealed that he had sent Awlaki several email messages and that Awlaki replied to two of them." "We (the Ummah) must trust the brothers and sisters who take time to tell the truth on the Internet. These brothers and sisters have done an excellent job of letting Muslims all over the world, particularly the west know what is really happening in Muslim lands. The brothers and sisters on the Internet have provided a clear picture of what is going on in Muslim lands. They have fulfilled their obligation and now it is time for those learning the truth to act….As your brothers and sister in Somalia are raped and killed by the Ethiopian Puppets from Addis Ababa and the Somalia slaves of the United States, will you be like Brother Mohamoud Hassan or Brother Abu Mansour and answer the call to Jihad? For Allah (SWT) knows best and will reward those who sacrificed on the Day of Judgment." "In the article, Chesser stated that the number one most important thing in countering the efforts of the non-believers is for one to leave for jihad. He stated that the appropriate time-frame for one to actually leave after having made up their mind to go, is about one year." Not one to ignore his own advice, Chesser admitted that he had attempted to travel to Somalia to join al Shabaab—a designated Foreign Terrorist Organization—on at least two occasions. Whether due to one of the above statements, the death threats aimed at the creators of South Park, or other more substantive concerns, authorities prevented him from boarding a flight from New York to Uganda on July 10. Within days, Chesser admitted that he had indeed intended to travel from Uganda to Somalia to join up with al Shabaab. "This case exposes the disturbing reality that extreme radicalization can happen anywhere, including Northern Virginia," said U.S. Attorney Neil MacBride. News Wednesday shows that extremist reach stretches from suburban Washington to the rural quiet of Alaska.